Stumbling through her relationships, Amalia encounters Michael. An attractive classmate who quickly moves from being one of her close friends, to an inconsistent friend-with-benefits. After all, the only thing consistent about New York is its beauty. 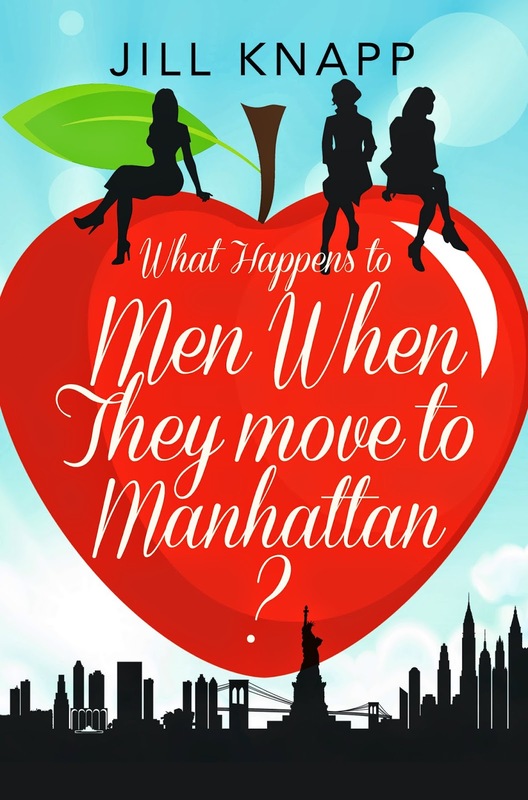 When Jill asked me to review What Happens To Men When They Move To Manhattan?, I knew I would love this book, with the location and plot I was not disappointed. Amalia life is quite perfect, with her lovely understanding boyfriend, great apartment in an amazing location (forgetting the fact that she can't really afford it, thank goodness she is sharing with two other people!) and great friends as well. Then, in the matter of weeks Amalia's life changes, she goes from having a boyfriend to being single, something she hasn't been in years, but to make matters worst it is on her birthday as well. But she has Cassandra and Olivia to drag her from her bed and back to class and the real world. Graduate school was nothing like Amalia thought it would be, so having Olivia, Michael and Alex there with her makes it a little bit more bearable. You get the feeling quite early on in the book that there is flirty behaviour between Michael and Amalia but neither of them do anything about it given they were both in relationships. It doesn't take much to change their relationship after Amalia's relationship falls apart, one night together and their relationship and friendship is completely changed. There is also drama with Cassandra's new boyfriend, Olivia hiding a secret and of course Alex is the same old player he always was. I loved the friendship that Amalia has with both Cassandra and Olivia, they both know her so well and I loved how much they helped and supported her throughout the book. There are a lot of holidays celebrated throughout the book, covering the whole year, my favourite would read about would have had to been Christmas and St Patrick's Day, as I loved meeting Amalia's brother and St Patrick's Day was pretty eventful as well. What Happens To Me When They Move To Manhattan is a fun, modern telling of dating, grad-school and friendships, all while living in Manhattan. With it's charming tales, it is the perfect book to read, it has everything you could want and more. I loved Cassandra, from Amalia's description of her and her expensive shoes, I could really imagine her and me being really great friends, just as long as she would let me borrow them once in a while. I would recommend this book to anyone who loves Manhattan, been in bad relationships and loves a bit of flirting as this book would definitely put a smile on their face. If I had to sum this book up in three words they would be Captivating, Sensational and Faultless. Great review, it sounds like a story I would like!